RVs are meant to be enjoyed, so when something goes wrong it can be a big hassle. If something doesn’t sound right with your RV or a check engine light has come on, don’t wait for a quick fix to turn into a major repair. At Coopers Auto Repair Specialists, we perform nearly every imaginable service on RVs in the Tacoma, WA area. From major repairs to routine maintenance, our expert ASE Certified technicians are here to help. Bringing your RV to our shop means that your vehicle will be treated with the care and respect it deserves. We strive to maintain 100% customer satisfaction in all our RV repairs and services. We understand that you depend on your RV and taking it to the shop isn’t your idea of fun. Our goal is to keep your RV running in the best possible condition. 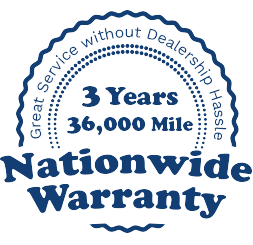 We want to get your RV out of the shop and back on the road as quickly and safely as possible. So whether its a major repair or just routine maintenance, trust the experts at Coopers Auto Repair Specialists for all of your RV repair and maintenance needs.